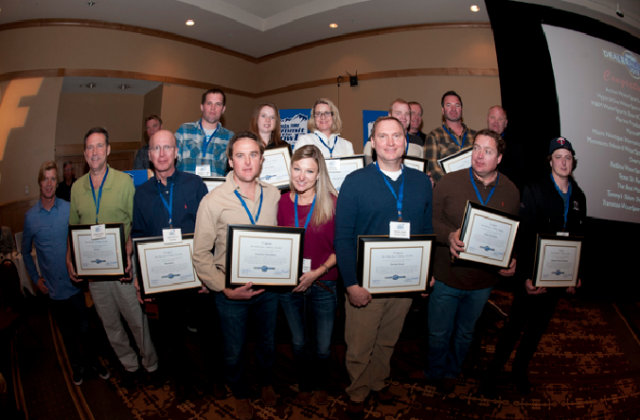 STEAMBOAT SPRINGS, CO March 8, 2013; The Water Sports Industry Association (WSIA) recognized its top-performing dealers by inducting its first class of water sports retailers to the WSIA Dealer Alliance Group. Fourteen top dealers were on hand at the WSIA’s Summit in the Snow for the awards presentation. In December, the WSIA announced the WSIA Dealer Alliance as a group of top retailers that would be honored for their service the water sports industry, but they would also be called on to participate in a round-table discussion about water sports and the challenges that the activities face today. The goal was to open a direct line of communication between the WSIA staff and the elite dealers. The Summit in the Snow is the WSIA’s annual conference which was held in Steamboat Springs, CO March 5-7. Now in its seventh year, the conference attracts the industry’s largest and most influential brands for three days of educational seminars, entertainment and networking. At this year’s event, the WSIA Dealer Alliance was honored one-by-one on the first night’s general assembly of nearly 200 attendees. The WSIA Board of Directors nominated the group of dealers for participation. In attendance were Action WaterSports, Ambush, Hyperactive WaterSports, M&M WaterSports/BoardCo, Marine Products, MarineMax, Miami Nautique international, Minnesota Inboard WaterSports, Overton’s, Redline WaterSports, Texas Ski Ranch, The Boat House, Tommy’s Slalom Shop and Transition WaterSports. Additional members not present due to local boat shows and grand openings include, American Boat Center, Evo Sports, Martin Motor Sports, Nor Cal MasterCraft, Performance Ski & Surf, Sail & Ski Center, Skipperbud’s and Wizard Lake Marine. John Kittler of Hyperactive WaterSports said, “The WSIA Dealer Alliance allowed us to share best practices that our fellow dealers are engaged in and also for sharing ideas to create a better industry for all of us. I highly recommend everyone to come to this event next year.” The WSIA Dealer Alliance Group plans to meet again at Surf Expo in September. About the Water Sports Industry Association: The WSIA’s mission is to serve as the world’s leading trade association that promotes and protects towed water sports activities. WSIA is the leading advocate that communicates, produces and distributes water sports safety and educational materials. 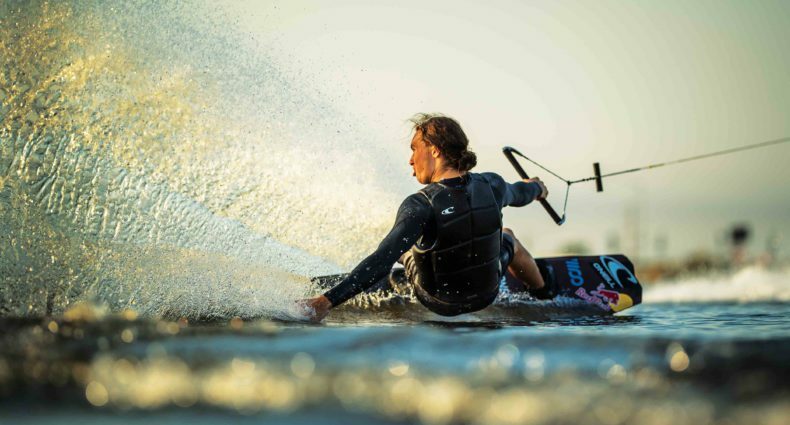 The WSIA works with local, state and federal agencies in partnership with national and international governing bodies to ensure the use of waterways for water sports. Meeting three times per year, the WSIA Board of Directors is represented by every major towboat, waterski, wakeboard, accessory manufacturer, media-provider and engine brand – 27 in all. For more information please contact the WSIA at 407-251-9039 or visit www.WSIA.net.